Constitutional Rights do apply for Duck Dynasty and Phil Robertson. These last few days every time you turn on the television there is another story or commentary about Phil Robertson of “Duck Dynasty” fame. Nearly every single mainstream media outlet has painted Phil Robertson as apparently homophobic and a “hater” of homosexuals. GQ Magazine: “What, in your mind, is sinful”? The above two statements by Phil Robertson are what have been getting thrown around in the media pointing to the “fact” that Phil “hates” homosexuals. These comments, along with others, which were all Phil Robertson stating his personal opinions and views, got him ousted from “Duck Dynasty” for an “indefinite hiatus” by A&E. Was what he said, crude? Of course, it was, but then again, consider the source of the statements. However, crude or not, does not change the fact that he can espouse his opinion until he turns blue. It is a protected right. 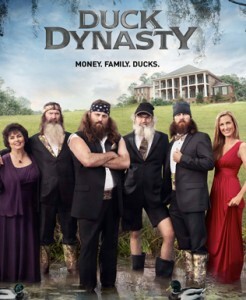 A&E specifically chose the Robertson clan for a reality series because of how the family looks and lives. You do not have to be a Rhodes Scholar to figure out that Phil Robertson and his family are probably very fundamentalist in their religious beliefs and more than likely lean to the extreme right in their political views. These two situations alone mean they will not be open to homosexuality nor any other progressive viewpoint, whether political or religious, or sexual. Therefore, how can A&E be so hypocritical in their decision to put this person on “indefinite hiatus” from the show, if there will even be a show after this debacle? The powers that be chose the Robertson family for specific reasons. It is highly doubtful the executives at A&E chose this group of people because they see eye to eye with this family. More aptly, they were probably chosen because the executives saw a way to make a mockery of this family and their way of life, and make a ton of money in the process. Phil Robertson was giving his opinion and viewpoints on homosexuality, and other subjects. These viewpoints were being delivered to GQ magazine on his own time, not on the time of A&E; therefore, A&E should not have ousted Phil from his own show. He is the patriarch of the family. Does A&E really think the Robertson group is going to continue a show without their patriarch at the helm? If A&E were so worried that the comments and actions of this family would reflect badly upon them, why did they choose this group for a reality series? Are not their comments, religious beliefs, and lifestyle what a reality series is all about? A&E and should be ashamed of themselves, as should the overall media outlets. Whether you agree with Phil Robertson’s viewpoints or not, this is the United States of America. People are entitled to their personal opinions and religious beliefs. This is not a homosexual and/or gay issue. This is a freedom of speech issue. Freedom of speech means people, even those who do not see things your way, have the right to voice their opinions. Start picking and choosing who is allowed to voice their opinions and you no longer have freedom of speech. “Duck Dynasty” and Phil Robertson may be amusing to many people, but this incident should scare people. This is another example of how constitutional rights in the USA are being eroded away, little by little, each and everyday. In due time, if you do not agree with everything those in charge tell you believe, you may find yourself being imprisoned or even executed. Theresa O'Keefe has over two decades of experience in a variety of real-world endeavors; some of these include her being an entrepreneur, a corporate America professional, and a massage therapist. Her work life is rich and varied: she has owned several businesses including a computer business, a mobile karaoke business, and is now looking into starting an online vintage clothing and accessory business. In her corporate America experience, she has worked with several Fortune 500 companies including Federal Express, Walt Disney Company, Automated Data Processing (ADP). Theresa has a degree as a Holistic Healing practitioner, and previously worked as a massage therapist for over 5 years with both private clients and day spas. Today, Theresa prefers the freedom of working from home. She works as a writer on multiple projects, and is developing several ideas for script projects. She lives in beautiful Southern California, in Orange County, with her boyfriend, whose love and support allow her to pursue her passions. Contact the author.